A 2-hour ride to Belgrade was the first part of our trip and was actually rather pleasant. No hassles at the border and we were safely delivered to Nikola Tesla airport by our office master Nandino. After going through all the checks, we boarded the plane and in an hour and a half we were in Greece. Metro took us from the airport to the center of Athens. When we got off the Metro, the first thing that struck us was the climate. Even though the actual temperature is not a lot higher than in Croatia, the proximity of the see is giving it that mild Mediterranean feel. I am guessing it can also be attributed to the position which is closer to the equator than Croatia. Anyway, it really felt good to catch a breeze of summer, once again, since it is long gone in Croatia. The first day, or should I say evening, we spent walking around and planning our sightseeing for after the conference. Even though we were a bit tired, it didn’t stop us from checking some cool places and getting some proper food (other than airline food). We treated ourselves with some Greek platters, just to make sure we cover all of the best the Greek cuisine has to offer. Thursday was the conference day. 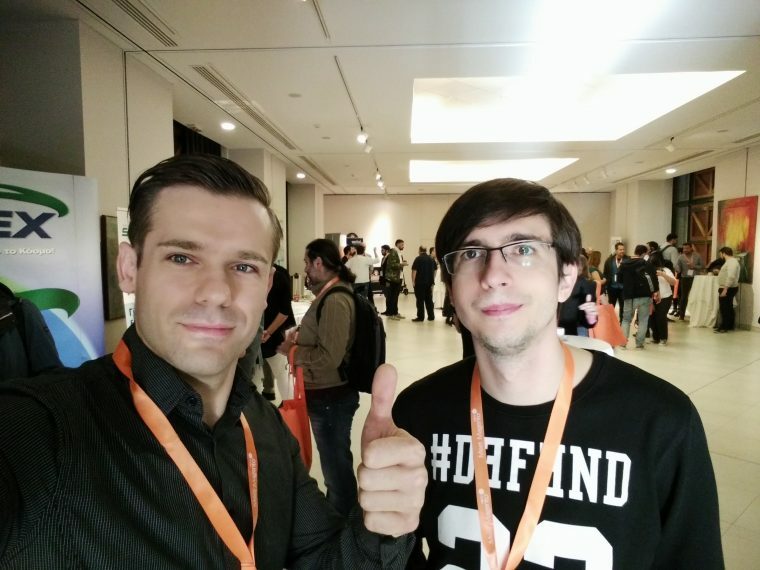 As usual with this series of conferences, Meet Magento Greece brought some of the well-known names from Magento world. So we met the Magento “evangelist” Ben Marks, as well as Guido Jansen and some other people from Magento community. The whole of Thursday was filled with interesting presentations. Ben talked about the future of Magento, while Guido’s presentation covered a very interesting topic of online persuasion. There were many great speakers but I would mention just a few that really caught my attention. Maciej Kalkowski offered some thoughts and tips around Magento performance optimisation while Olga Mavi from Socital talked about data-driven personalization. It would be crazy not to mention Savvas Zortikis who had a great presentation about Viral marketing as a growth catalyst for an eCommerce Store. I spoke about the internal project that we had last year, which included a bit of outbound campaigns, a fair portion of Magento and a lot of research. The conference ended with the cocktail party where we had a chance to talk with other guests and meet some interesting people. The organizer of the conference was Converge who we would like to thank for the organization and hospitality. That was pretty much the end of that day for us. We needed to get some rest as the plans for tomorrow were serious to say the least. We got up early in order to be among the first ones to reach the Acropolis. And we did it! The Acropolis with all its parts and details was simply amazing. Philopappos Monument, Zeus Temple, Panathenaic stadium, Hadrians Arch, Agora, were also among the places we visited. Impossible to miss was also Byron’s statue located in the National Garden. Needless to say that we walked quite a bit that day – 26 kilometers to be precise. So the overall impression was just wow! 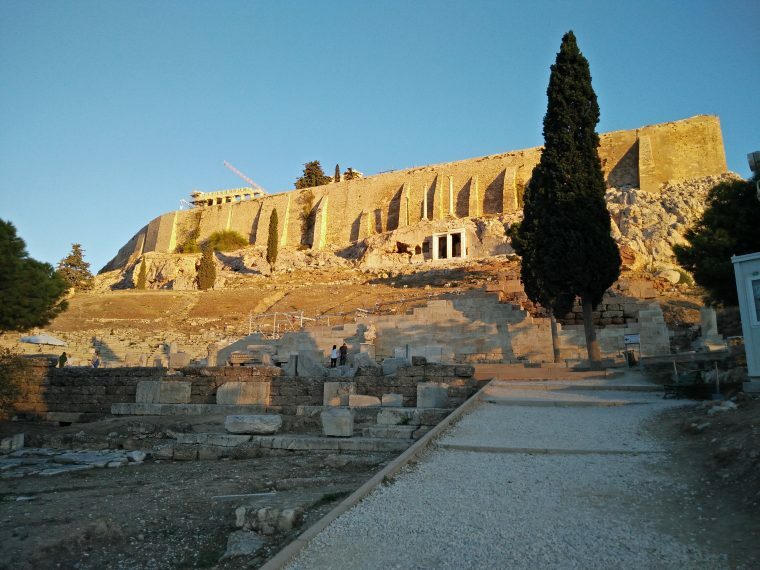 To put it shortly – If you haven’t been to Athens you should go! One thing that I need to mention once again is the food. And what a food it was! Greek cuisine is somewhat similar to those of other Balkan countries. So it was really interesting to try both original Greek dishes as well as those we are sort of familiar with. Whatever we tried was really tasty: from gyros and skewers to moussaka and lamb pot. Tomorrow morning we packed our stuff and decided to do a quick tour of Nymphs’ Hill in Thissio. We didn’t have a lot of time but it was worth it. And that was pretty much it. We said farewell to Athens and flew back home. It was a great trip altogether and I would do it again any given day.